Perspectives: Does Having an Agent Really Matter? | LADY. 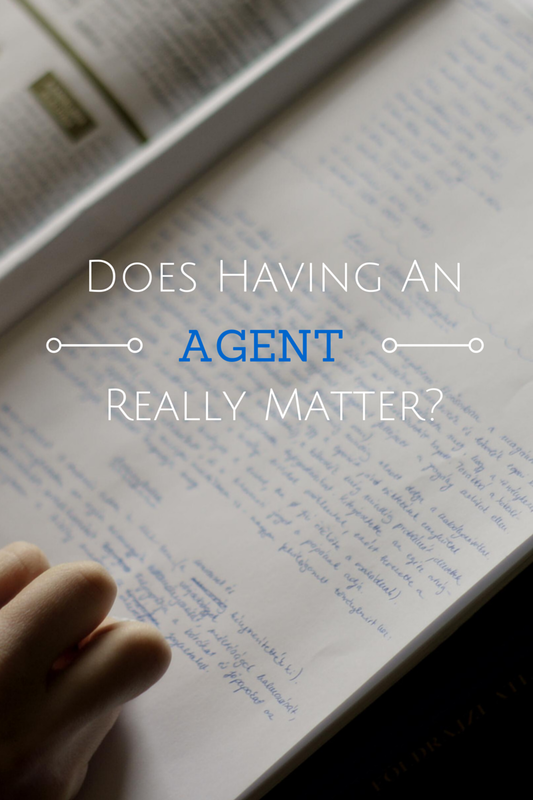 Perspectives: Does Having an Agent Really Matter? The answer to this question depends entirely upon how much work, as an author, you're willing to put into the sale, marketing, and overall pimping out of your book. So before we can answer this question, we have to take a few steps back into the writing process and discover a little more about who and what we're discussing. Writers are curious creatures by nature, whether in reality or in imagination, or both, and many of us aren't always the most business-savvy. Rather than climbing the corporate ladder, we prefer the depth of narrative to soothe our most basic human instinct: survival. But when it comes to publishing, how do we learn to navigate the treacherous waters of contract negotiations, royalty payments, book rights, cover ideas, edits, distribution, and print runs? That's where agents usually come in. They are, in many ways, the saving grace for a writer because they are the mediator, the go-between in the battle of who gets what for how long and when. They work incredibly hard to make a book the best it can be and then try to sell it to a publishing company who will honor the author's work and still be able to make a profit. After all, it's only natural for writers who see their work published to also want a paycheck from said work. The same goes for the publishers who put it out there. Everyone is risking their neck here, let's be honest. That's art and that's life. And an agent is the person standing right in the middle. Unless you're a literary lawyer as well as writer, you're unlikely to understand the legal jargon that comes in your initial contract. And it's important that you do because the contract is where all the expectations about deadlines, publishing, money, and rights are laid out. If you have an agent, he or she will be responsible for making sure you get the best deal possible. If you don't have one, you'll be responsible for it yourself. It's certainly not impossible to be done without an agent; you just need someone by your side to help you through the process. You can hire a lawyer or, if you're lucky enough to know one, ask a friend who works in law for help. Literary law is its own kind of monster, so if you can't find someone who knows how publishing works, at least try to get in touch with an entertainment lawyer who will be familiar with the importance of royalties, subsidiaries, rights, etc. Once the book is published, you're going to be expected to do some of the leg work to help make the book a success. The author's role does not diminish once the book is written. In fact, that's when the real work begins. If an agent is representing you and your book, they will be looking for a publisher who has enough clout to market the project and make it sell. After all, everyone wants a success because success equals more money and a better reputation for finding great stories. But even the most high-profile authors, the ones with giant marketing teams who know all the right ways to make a book sell, are out there pounding the pavement, usually via social media. So it's only natural that in our very digital age all writers are expected to have an active online presence where readers can connect with them. Nothing makes someone want to read a new book than really positive word-of-mouth. Regardless of whether you choose to pursue agent representation, self-publish, or submit directly to a small press, know that ultimately you are the one who has to believe in your story. If you don't, no one else will.